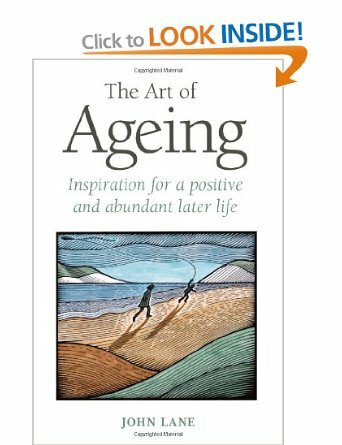 It’s nearly Pre-Birthday-Month time so it seems a good time to dive into The Art of Ageing again. It is one of those little gems that has a great deal of common sense. More than anything, the author, John Lane, doesn’t expect miracles though he knows how to turn the realities of life in older age into hope and fun. Sadly, Lane died in 2012 and that fact alone prompts me to look out for some more of his writings. My usual habit is to read several books at the same time according to mood or the time of day. Books on ageing and/or self-help fit in with diaries and journals, so they occupy the bed-time spot. I have a stable of writers and books that I read through over and over, occasionally adding the odd new one. I found the following gem last night and think it is well worth sharing. This entry was posted in Blog, Book Reviews, Poetry and tagged ageing, Joy and Woe, philosophy, poetry, William Blake, writing. Bookmark the permalink. One of the problems of modern day living is that we expect instant solutions to all ills. In fact, we feel ‘entitled’ never to have to put up with any woes whatsoever. A pill for everything, a counsellor for the rest. Sadness and joy, I wouldn’t want to be without either. For no apparent reason, it just occurred to me to ask: have you read Michael Mayne’s _Learning to Dance_? Haven’t come across the book, Tim, though I see it is on Amazon. Would you recommend it or is it strictly for laughs?